Toying with ideas of majoring in fields related to medicine, literature, philosophy and history, Daniel was still missing a sense of direction after four years of studying. So, she took a break and traveled to India for about one year before returning to British Columbia, where she was born and raised. All the while, she painted pictures when she could, but it never occurred to Daniel that pursuing a career in art could be an option, until she moved to Jerusalem in 1994. Originally from Victoria, British Columbia, Daniel said it should have come as no surprise that she chose the life of an artist since painters have been in her family for generations. “If DNA determines what aptitudes a person enters the world with, then the decision was made for me on a visceral level,” said Daniel. 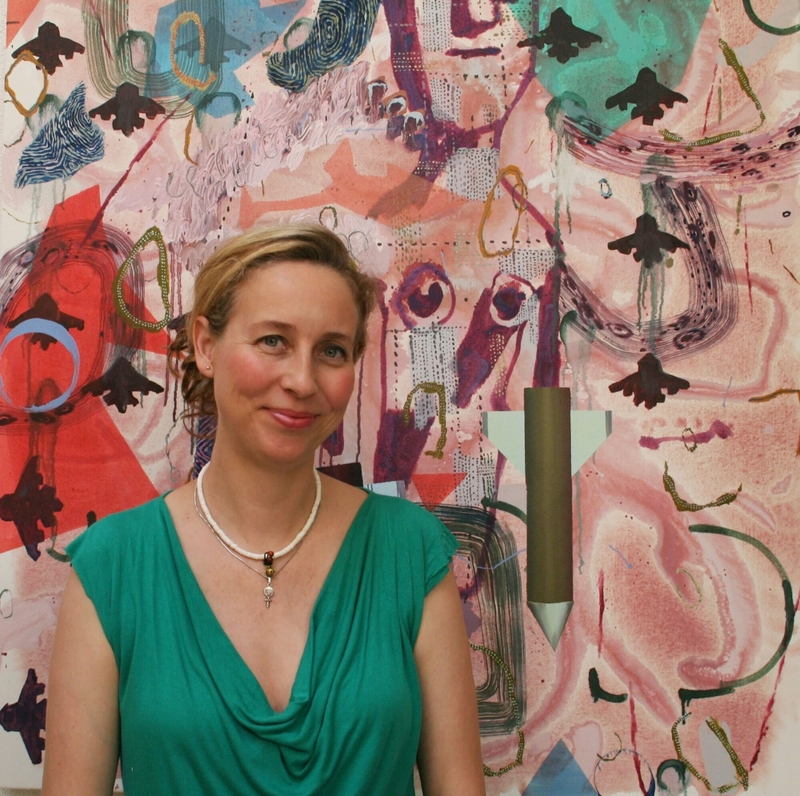 Daniel lived in Israel through 2017, at which time she and her family moved to West Michigan so she could take up the mantle of the Stuart and Barbara Padnos Distinguished Artist-in-Residence – a position she will hold through the 2019-20 academic year. The position, endowed by late Holland area businessman Stuart Padnos, and his late wife, Barbara, offers an opportunity for renowned artists to teach and mentor students in the Department of Visual and Media Arts, as well as speak on campus and to the wider community. The Artist-in-Residence title is granted to a working artist or scholar with an established record of promise or achievement in art and teaching — a category in which Daniel inarguably belongs. Daniel has carved out a niche for herself in terms of preferred mediums, and labels herself as a “landscape painter of weird narratives,” while also making videos on occasion. She earned both a Bachelor of Fine Arts and a Master of Fine Arts from Bezalel Academy in Israel. Throughout her career, Daniel has displayed her work in numerous international exhibitions, including the Tel Aviv Museum of Art, Chelouche Gallery, and Noga Gallery of Contemporary Art, all located in Tel Aviv-Yafo, Israel; the Asya Geisberg Gallery in New York City; the Shulamit Gallery in Los Angeles, California; the Kelowna Art Gallery in British Columbia; and Harvard Business School, among other galleries in Europe and the U.S. Her work has also appeared in numerous publications, including Newsweek, The Huffington Post, Artists Magazine, Frieze, Haaretz and CBC/Radio Canada. Daniel will discuss her work and past projects during a special presentation at Grand Valley on March 28. The free event will take place at 6 p.m. in room 138E of the DeVos Center, located on the Pew Grand Rapids Campus. A Q&A period will follow the formal presentation. While at Grand Valley, Daniel has utilized her own personal style to introduce her students to a more hybrid approach to drawing. She has assigned projects in the ceramics studio, computer lab, paper lab, and even a lesson in Zen meditation paired with drawing. Daniel said she also places an emphasis on her students taking advantage of available feedback. Much of the inspiration behind Daniel’s art stems from her experiences living in both Canada and Israel. Daniel said that over the years of her career, she has focused on developing her own artistic language, rather than limiting herself to a signature style. 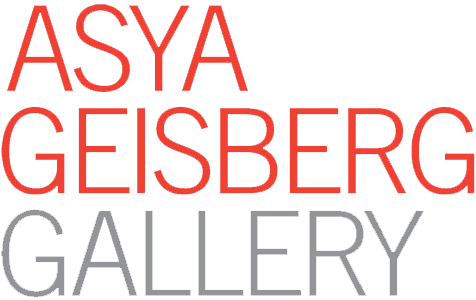 Daniel will be showcasing her work in an upcoming solo exhibition at Asya Geisberg Gallery, which opens May 17 of this year. The exhibit will feature works created by Daniel while residing in Grand Rapids. Following her time as Padnos Artist-in-Residence, Daniel said she will return to Israel where she has been invited to contribute her work to a large solo exhibition at a major museum.